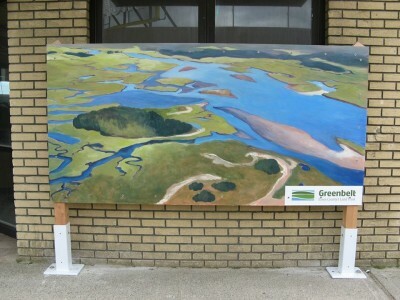 The Salisbury Beach Partnership’s Green Initiative Mural Project was a success! Most of the murals were installed and are offering visual enjoyment and education to beach visitors. 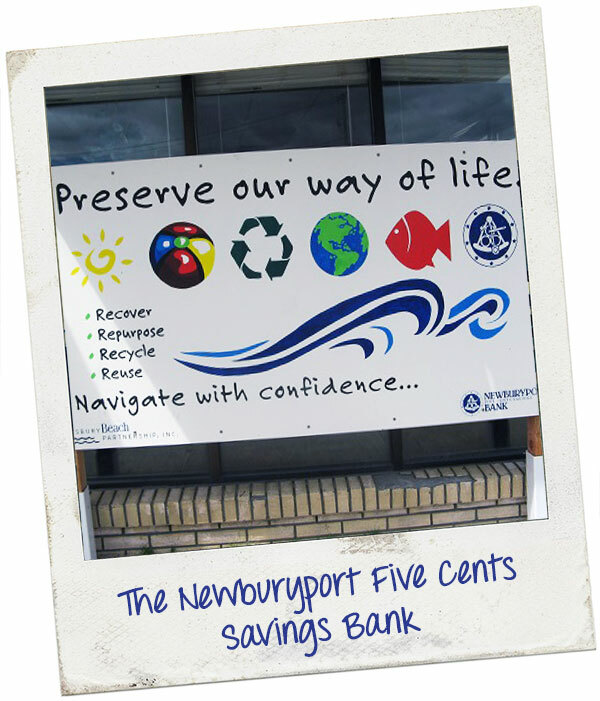 “Preserve our way of life” is the theme of our Green Initiative Mural for the Salisbury Beach Partnership. We have chosen to use symbols to convey our eco-friendly message. The “sun” represents converting solar power into energy. 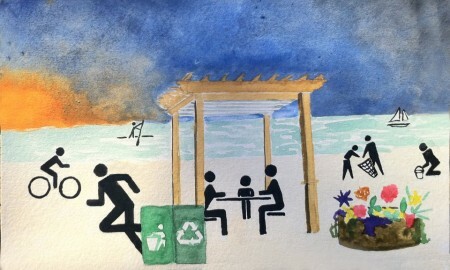 The “beach ball” represents continued social interaction among the elements. The “earth” symbolizes the revitalization of our total environment. The “fish” represents protection of all wildlife. The 12 local businesses and non-profits listed below also had murals that express their vision of environmental friendliness specific to the local waterways, beaches and reserves. We are pleased to offer this wonderful team-building opportunity to the participants. The fruits of their labor will be on display all summer throughout the beach center for thousands to see and enjoy. The Salisbury Beach Partnership would like to thank Johnson Lumber and Port Paint n’ Paper for donating the supplies to make this project possible. The Salisbury Beach Partnership is a non-profit organization that is dedicated to foster and promote initiatives to revitalize Salisbury Beach. Each summer the organization presents a series of events to grow this mission. Stay tuned for more updates regarding the Green Initiative Mural Project, and our other community centered, family oriented art events!